The Chateau de Cheverny in the Loire Valley is a lovely chateau surrounded by parkland and gardens. It is situated about 10km south of Blois and the River Loire. The chateau itself is a fine example of Louis XIII architecture and its interior is richly decorated. Surrounding the chateau the gardens of the Chateau de Cheverny are amongst the most charming amongst the gardens of the Loire Valley chateau. 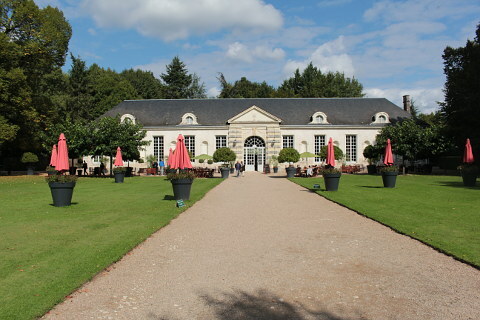 The main garden sits between the chateau and the orangery which is a beautiful 18th century building which was once the orangery and now serves as a café during the high season. 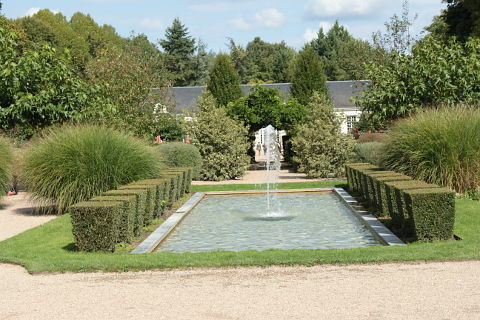 These gardens, called the Jardin des Apprentis, are laid out in a classical 'French garden style' with straight lines, clipped hedges and topiaries, formal ponds and various parterres. 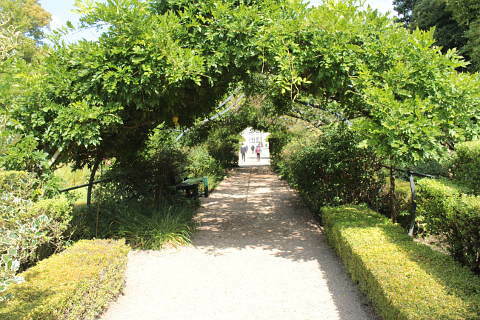 It also has a large wisteria arch underplanted with white flowering plants. 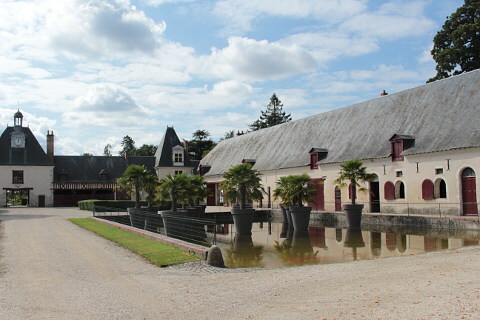 It is very elegant and provides a lovely vista towards the orangery in one direction and the chateau in the other. 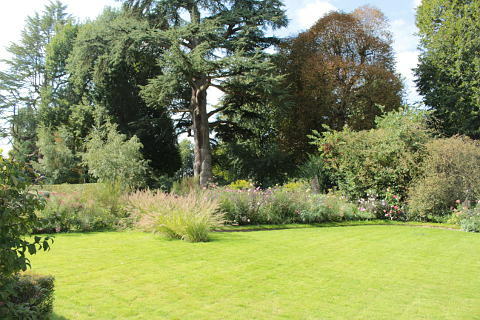 Towards the edges the planting is more relaxed and features many grasses and roses and leads towards some of the many beautiful mature trees in the park. On the other side of the chateau are some of the outbuildings where you can find an exhibition of Tintin created in 2001 because Chateau Cheverny was used by Hergé as the model for Marlinspike Hall in his books. There is also a large kennels housing a hundred hunting dogs. 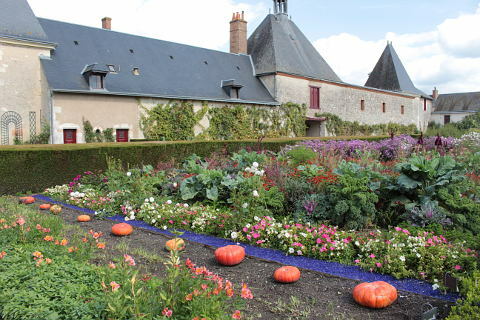 Here you will also find the large vegetable and cutting garden which supplies the chateau with flowers. 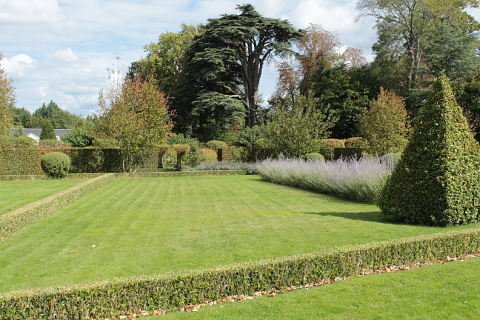 The potager is laid out in parterres edged with low cut box hedges and so is attractive as well as functional. 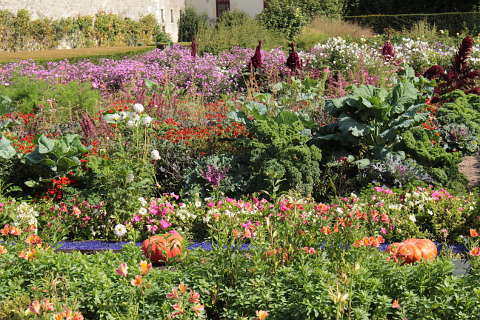 During our visit in September the garden was a mass of vegetables and flowers and a riot of colour. In the spring there is a tulip garden planted with over a hundred thousand bulbs laid out in huge blocks of colour. There is also a labyrinthe maze - good fun especially if you have children with you. 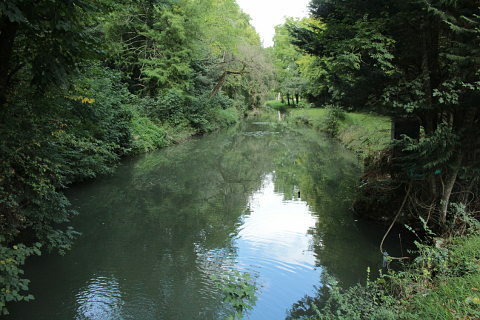 Along one edge of the park is a canal and you can walk through the grounds of the park amongst its many wooded areas and along the canal. In high season there are boat trips along the canal and also along the canal path in electric cars. The castle and gardens are open every day of the year. 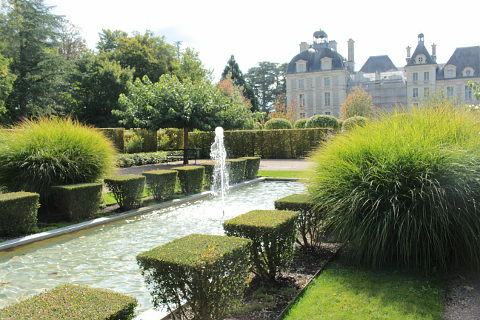 Tickets cost 11 euros for adults (chateau plus garden) and is free to under 7s. As well as the cafe in the orangery there are picnic areas with tables and shelters in the grounds. 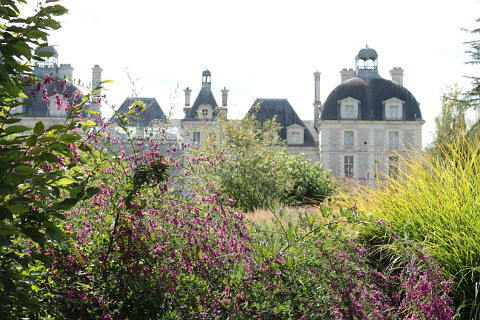 A little to the north is the Chateau de Chaumont home to the Chaumont sur Loire International Garden Festival and a good place to pick up some ideas. 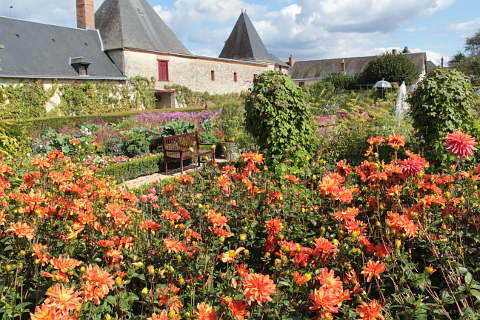 To the south are the pretty gardens of the Chateau de Valencay.